The combined effects of electric mobility and artificial intelligence will have a major impact on our ways of getting around, traveling and interacting with the urban environment. 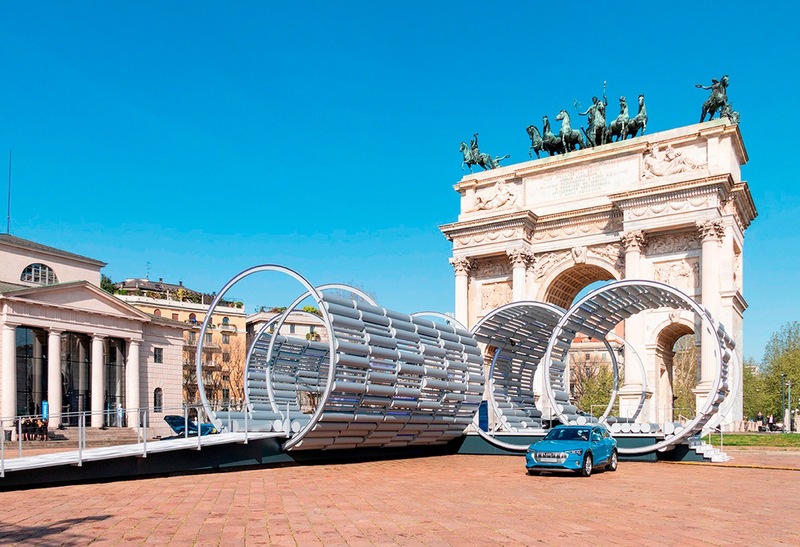 Hani Rashid, co-founder with Lise Anne Couture of the firm Asymptote Architecture based in New York, looks forward to these future scenarios, designing a recharging station for electric vehicles at Arco della Pace, a place in which to activate new dynamics of social contact and exchange. Developed and produced in collaboration with Audi, the project comes from an awareness of the state of isolation caused by digital living and our growing reliance on screens. 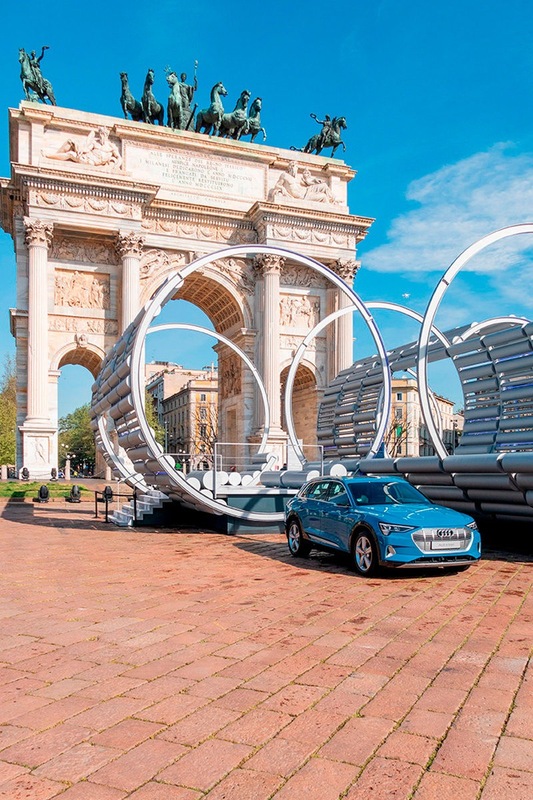 The installation, whose circular modular design is based on the architecture of Arco della Pace and the four rings of the Audi logo, formulates a new type of urban space, a place of physical and spatial interaction, at which to recharge your car but also to relax and move, to realign our existences and relations with the values of time and the environment. The e-station by Asymptote will host the new Audi e-tron, the brand’s first zero-emission car, forerunner of an original range of products that will contain 12 completely electric vehicles by 2025; at the same time, it will present events, encounters and performances. In the Caselli Daziari (the former customs lodges), the automaker from Ingolstadt organizes the seventh edition of Audi City Lab, a hub of discussion and analysis of mobility trends for the future.